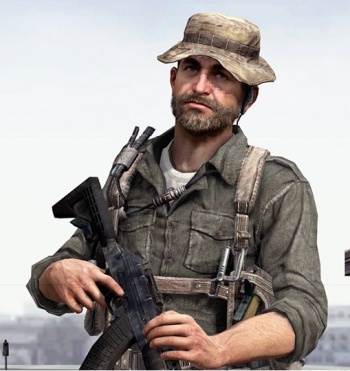 The voice actor behind Call of Duty's Captain Price may need to be more careful who he chats with during airline flights. Sometimes in the gaming world, it can be very hard to keep a secret. With so many people involved in the production of a single triple-A game, it can be very difficult to lock down all information about a title as it approaches release. Few publishers know this better than Activision, who on multiple occasions have had news about its upcoming Call of Duty games leaked to the world. Now the gun may have been jumped yet again, this time thanks to none other Modern Warfare voice actor Bill "Captain Price" Murray. It all allegedly happened when Murray struck up a conversation with a Call of Duty fan who happened to recognize his voice on an airplane. While the pair chatted, Murray apparently stated the following, completely unprovoked: "on Monday I am off to meet Infinity Ward about the next game, Modern Warfare 4, I'm doing work on the sequel to Modern Warfare 3, it carries straight on and I only ever appear in the Modern Warfare games". The problem was, this wasn't just an MW fan sitting next to Murray, it was the founder and editor of gaming website This is Xbox, Jason Andrews. Andrews snapped a picture of Murray as proof of their meeting, and presumably rushed off to write a hurried news post the first chance he could. Before anyone gets too excited, please note that this story is still technically in the rumor stage. We'll direct your attention to the following tweet from Infinity Ward stating that the whole story is made up, while Activision itself has yet to comment. That's not to say the chance conversation between Andrew and Murray didn't happen, or that Murray isn't being considered about a Call of Duty game. Time will sort out the details, but in the meantime there's nothing left to do but rampantly speculate. Have at it, internet!